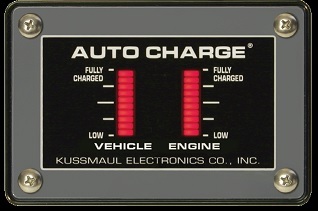 Model # 091-39-IND The 091-39-IND Indicator is a remotely mounted dual bar graph battery condition display for the Auto Charge 2000 and Auto Charge 4000. Normally supplied with each charger. 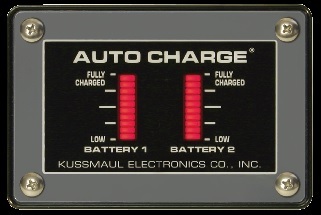 Model # 091-66-IND The 091-66-IND Indicator is a remotely mounted dual bar graph battery condition display for the Auto Charge D. Normally supplied with each charger. 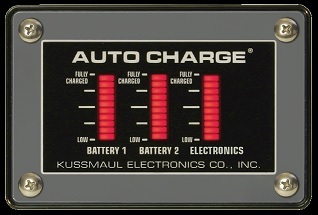 Model # 091-74-IND The 091-74-IND Indicator is a remotely mounted triple bar graph battery condition display for the Auto Charge D2. 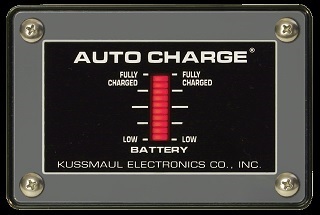 Normally supplied with each charger.